As the product of a broken home, building a sense of safety, security, and continuity in the lives of my four sons became a priority as they grew up. We wanted them to have a strong foundation filled with assurance that certain activities would happen on a regular basis, and ultimately showing them the steadiness of both their parents and God. In the midst of a changing world, we wanted them to count on certain events returning each year, each month, each day—like dad coming home from work in the evening, mom being available after school, supportive family members to show up for their activities, and the fun of birthday and holiday celebrations. Traditions mark the arrival of a special event, but they also provide sought-after predictability and continuity. 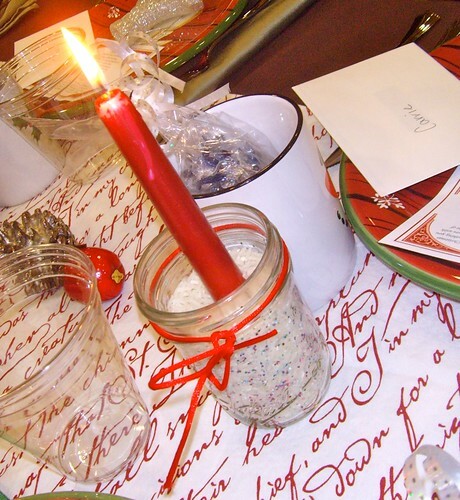 Holiday traditions, in particular, mark special occasions as both a promise that the celebration returns yearly and as a reminder to kids that some days stand out more than other days because they are the basis and reminders of our faith. These moments are so important and influential that we celebrate them with regularity. By tradition, we remember Christ’s sacrifice weekly or monthly (depending on your church tradition) by taking Communion. By tradition, we baptize our children. By tradition, we baptize them into the faith through the passing on of knowledge through stories and reading. In our home, we had traditions for each holiday, Christmas especially. While struggling to celebrate this most commercial of American holidays without letting the secular emphasis take over, we found a mixture of fun traditions balanced with sacred traditions that did the trick for us. We always had similar food each year, and the food is still expected today, now that our sons are grown. Chinese food on Christmas Eve (because way back when, most other restaurants closed on Christmas Eve so people could celebrate the holiday); sour cream coffee cake made from scratch on Christmas morning; and turkey, Ritz cracker stuffing, corn pudding, and pumpkin chiffon pie arrived at the table for Christmas dinner. I find my sons must think about these dishes before they come home for the holiday, because they most certainly expect to see them on the table when they arrive. In addition to food, we always read the Christmas story, set up a manger scene in our living room, set out luminaries to light our way after the Christmas Eve service into the house, and watch It’s a Wonderful Life. Age-appropriate reading material, in addition to the Bible story about Christ’s birth, also offers the opportunity to teach about Christ’s entrance into the world. M is for Manger by Crystal Bowman is a wonderful book as the youngest children among you to begin to learn the great story of Christ’s arrival. This book is designed to become a family classic you will be able to return to each year until your children outgrow its simple format—unless they request the familiar story be read again – even to their own children. Someday your family traditions may have to morph, and may disappear altogether as parents age, but for now, bask in the safety and warmth of them. Each family needs to develop their own traditions, but we suggest you begin with an idea as simple as M is for Manger that allows you to begin tradition-building early. Gather your young ones together this holiday season and form some lasting memories. More about M is for Manger: Travel through the alphabet with this beautiful rhyming storybook that tells the story of Jesus’ birth. Begin with the angel who tells Mary that she is God’s chosen vessel and follow along until you reach the zillions of stars that paled in comparison to the star that announced the birthplace of the newborn King. Beautifully illustrated and written, this book will be a classic for parents to read to their children every Christmas season. Need some advice or ideas for leading your kids through the Holy Week? Here are all the Easter posts we’ve done here on the ParentLife blog over the last six years. What is about turkeys that are just so cute? Despite the fact that most of the turkeys at Thanksgiving are, well, no longer looking adorable, it’s fun to celebrate the holiday with some turkey crafts. Valentine’s Day will be here before we know it. Despite my indifference toward the Hallmark holiday, my kids ADORE it. (Balance Time Day, according to my daughter at 2 years old.) I like to use their infatuation as a tool to reinforce the gigantic love of God – and help them pass it on to their little friends. Here are some Christian Valentines ideas! These beautiful cards are downloadable from Etsy so you can print as many as you want once you buy the file. Sweet, free printable Valentines from RachelWojo.com. Link goes directly to the printable PDF. I am IN LOVE with these little Valentines from Etsy seller Cherry Berry Design. You can download them for $6 and print on cardstock. Take inspiration from Grace Elizabeth’s and make your own beautiful cards with Scripture. These lovely printable hearts with Scripture from 1 Corinthians are free and gorgeous! What a beautiful little gift for your spouse. How do you emphasize God’s love on Valentine’s Day? Do you still make cookies at Christmas? Fudge? 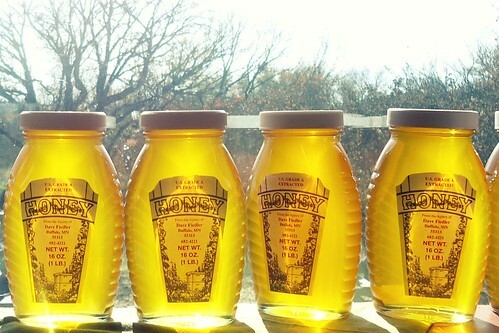 Other family favorites? There is something in me that just feels like I MUST bake cookies in December. Two years ago – since I was pregnant last year – I made cookies for weeks. Our kitchen overflowed with red velvet crinkles, chocolate chips, and iced sugar cookies. When I was growing up, we spent a whole Saturday make cut-out cookies and decorating them precisely – from reindeer to stars to, on occasion, a dinosaur in a Santa hat or Bob the Tomato. I try to carry on this tradition with my children, too. I think my daughter is to the phase now that she’ll really have fun this year! Here are my favorite Christmas goodies to make. Share yours in the comments! My family moved to Richmond, Virginia, when I was 8 years old – quite far away from where my parents grew up and where all of our extended family lived. Dayton, Ohio, was a LONG trek now, and with two little kids my parents decided we’d go for Thanksgiving OR Christmas. One of those first Christmases we were in Virginia alone, I remember a strange guest around our Christmas tree: my dad’s work friend, who had recently had a broken engagement and was suffering heartbreak. We loved having him among us, and he gifted me with my very first (and only) Paula Abdul cassette tape, for which I will be forever grateful to him. Fast forward a good deal of years, and I am 22. It is my first married Christmas, and I live in Nashville, Tennessee, far away from my own parents and even my husband’s. I started a job in customer service on November 1, leaving me with no vacation time and the inability to take any even if I had it, due to the nature of service jobs. I cried in my office one day over the injustice of it all. Christmas had always been steeped in tradition for my little family unit and the thought of those traditions continuing without me was enough to make me physically ill. I wanted my mommy. Lo and behold, one of my motherly co-workers invited me and my new husband into her home for Christmas Day. They made us feel like family, let us hold the new babies and pet the dogs and call Miss Sheila’s elderly mama “Grandmother” like they did. It wasn’t my family … but it was enough. And it was a blessing. So here is my holiday advice: don’t get so wrapped up in your own family unit that you don’t see the hurting, lonely people around you during the holidays. What’s one more mouth to feed at your buffet? Bless others by taking them into your family and loving them. It will set a wonderful example for your children and who knows … you might be entertaining angels (Hebrews 13:2). When Jessie Weaver is not busy being the resident ParentLife Blogger, she writes at Vanderbilt Wife and also for magazines like HomeLife and ParentLife. She lives in Chattanooga with her husband, where they run after three little ones (ages 5, almost 3, and 8 months). This post originally published December 13, 2011. I know, I know. I don’t want to skip over Thanksgiving! I love it! But if you want to make a meaningful experience for your children this December, it might take some prepping. I wanted to share with you my two favorite Advent activities that I’ve been doing with my (little) kids the past few years. My lovely friend Amanda has such a heart for helping parents reach their kids for Christ. A few years ago, she wrote this e-book called Truth in the Tinsel. It’s an Advent experience: a 25-day guide with Scripture, crafts, activities, and application to help you tell your child the whole Christmas story – from Isaiah and the prophecies to the cross. You can see my personal post about it here. But I just have to tell you how much my daughter enjoys this. I think this year, now that she’s 5, it will be even better. The Bible stories and truths are really starting to sink into her little heart. And I think Truth in the Tinsel is one of the best ways to fight back against secular Christmas. Make your focus Jesus … not presents. Last year I also put together a list of 25 Jesus-centered Christmas books on my own blog. I wrapped each one in Christmas paper. Last year, each night in December the kids picked one book to unwrap and read. They thought this was the BEST THING EVER, and I loved the time reading together and again, reinforcing the true meaning of Christmas. I would really urge you to take December as yours as a parent. Refuse to go to every party and event if you need to. Spend the holidays impressing Scripture and truth on your child’s heart, so you can emerge from December refreshed and in awe of God’s great work through Christ. With Mother’s Day quickly approaching (it’s May 12! ), you might want to guide your kids to make cards or small gifts for their moms and grandmothers. (Pssst, Dad, that means you.) Here are a few fun ideas to run with! These flowers are made from scrapbook paper. My daughter painted the paper (not necessary, just gave her something to do! ); then we cut it into different-sized circles and layered them. Libbie (4) glued everything in place and drew the stems and leaves. You can use pom-poms, flat marbles, sequins, or buttons for the flower centers. We found the idea at Hands On As We Grow. 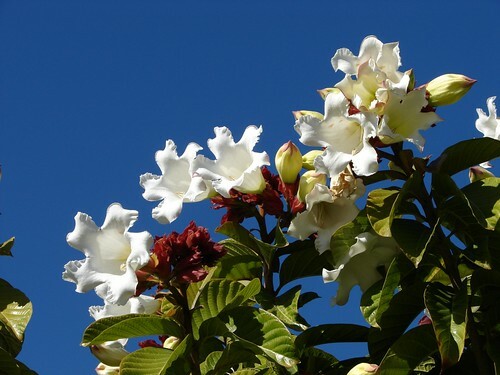 These would be perfect to grace the front of a Mother’s Day card or to use as framed artwork for Mom or Grandma. No one will love your child’s artwork more than his or her grandparents. Hand and footprint crafts are especially sweet and preserve a memory of a specific time in your child’s life! I have a whole Pinterest board full of ideas for hand and footprint artwork. Make one on a painted canvas for Grandma! These tulips painted with forks would be a fun and cute painting for the front of a card. 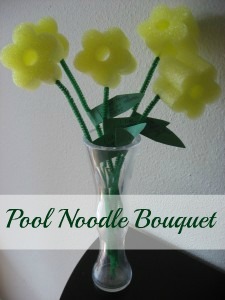 One last idea – how cute are these pool noodle flowers? Timing. If you want to travel during the holidays—or if you travel frequently—think about the expense and complication of boarding a pet. Do you have a reliable pet care center in town? Are your children old and responsible enough to help with day-to-day pet-care chores? Are you considering another baby, a move, or a decision that would affect the long-term care of your pet? It is better not to get a pet and give him up later than to have one for just a little while. Type. 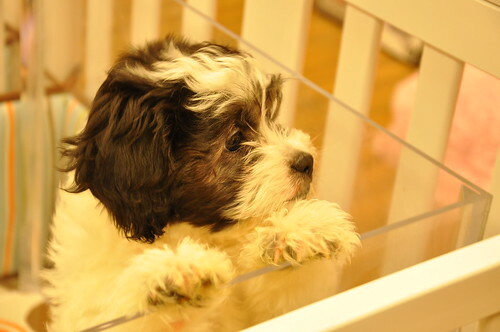 If your kids long for a pet, and a dog or cat is out of the question due to allergies, lifestyle, or other reasons, consider some kind of small, inexpensive friend, such as a hamster, guinea pig, or fish. If a dog or cat is on your horizon, consider not only the cost of the pet, but also the cost of shots, food, tick and flea medication, hygiene items, and other incidentals. Be aware that specialty pets, such as ferrets, rabbits, and de-scented skunks, can require a higher level of care and expense than cats and dogs. Read, ask questions, and be informed before you choose your pet. Training. If you’ve narrowed down a special breed of dog or cat, ask for references of breeders, shelters, trainers, and vets. Pets are one of the greatest sources of companionship and joy in life, but it is important to be informed before making a decision. Kristen White enjoys writing, being in the kitchen, and teaching sixth graders at First Baptist Church Shelbyville, Kentucky.